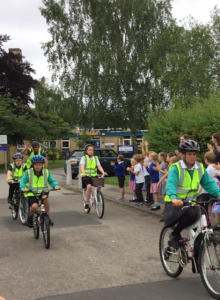 Osbaldwick pupils took part in the very first schools Tour de Yorkshire this week. This event involved 10 of the local authorities in Yorkshire. 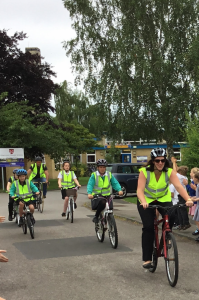 It comprised of a baton being passed from school to school and from local authority to local authority by groups of 4 – 6 children from the participating schools.